AFM 30 is a synthetic fibre-based soft material combined with high-grade elastomers. It makes an outstanding base for seals to keep out gases and liquids. 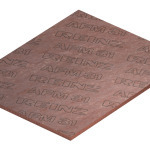 AFM 30 and the following gasket materials in this product group are used in many fields of industry thanks to their universally effective properties. Detailed information can be found in the technical data area. What’s more, the IGIS® material selection program is there to let you know which material would make the ideal gasket solution for your specific application and offers you up to three suggested solutions. 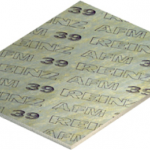 AFM 31 is extremely adaptable and flexible, yet also possesses great mechanical strength. AFM 31 also yields outstanding results against liquid and gaseous media as a gasket material for connecting easily deformable components, even at very low surface pressures. 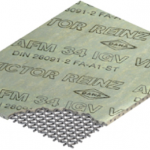 AFM 34 is Victor Reinz® most successful gasket material of all time. This aramide fiber-based classic is completely harmless from a physiological point of view and has all the important approvals (TA Luft and FDA-compliant, to name a few). 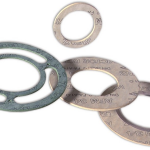 Universally useable, this gasket material is the perfect sealing solution for a huge number of media and a wide range of temperatures and operating pressures. 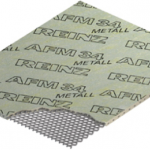 AFM 34 METAL is an innovative metal reinforced fiber gasket material which is exceptionally gas-tight – a key criterion for blow-out-proof gaskets. The expanded metal reinforcement is made up of 0.5 mm-thick stainless steel. AFM 34 METAL’s extremely low hot creep behavior values make it far superior to conventional soft materials. AFM 34 IGV is additionally reinforced with a fabric reinforcement made of galvanized carbon steel. 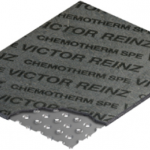 This metal reinforcement makes the material exceptionally resistant to extreme pressures and temperatures. 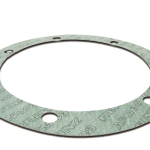 Thanks to an innovative new coating (CO) in combination with a metallic inner flange (ME) and a sophisticated new flanging process, the AFM 34 CO ME gasket meets even the most demanding of statutory requirements. The flange gasket with stainless steel inner flange is used to secure against increased liquid and gas pressures, especially in the chemical, petrochemical and natural gas industries. AFM 37 offers an outstanding cost-to-benefit ratio as a gas and liquid seal under moderate pressure conditions. AFM 39 is a flexible soft material which is absolutely safe from a physiological perspective. And it’s made with no color additives. 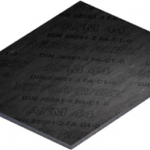 AFM 44 is a carbon fiber-based soft material. Its high resistance to temperatures up to 270 °C (518 °F) – or even up to 440 °C (824 °F) for short periods of time – combined with its great resistance to chemicals is of great valuable in the petroleum industry, for instance. Another feature of AFM 44 is that it makes for a very good seal against caustic bases. Detailed information can be found in the technical data area. What’s more, the IGIS®material selection program is there to let you know which material would make the ideal gasket solution for your specific application and offers you up to three suggested solutions. 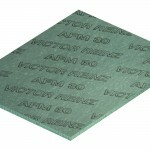 AFM 55 is a special material which provides excellent electrical and thermal insulation and is highly resistant to heat. The soft material first turns hard at high temperatures, where it assumes a high level of mechanical strength. This gives it the ideal criteria for gaskets in welding equipment. Unlike Chemotherm SP, Chemotherm SPE is fitted with a tanged metal core made of stainless steel. 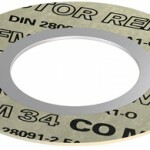 This expands the SPE version’s range of applications to cover sealing off aggressive media as well. REINZOFLON E is made of pure PTFE – a material with excellent chemical resistance to aggressive media. The PTFE used in REINZOFLON E comes in a special structure which enables it to achieve its excellent material properties. Stretched in multiple directions, this PTFE is very strong and durable thanks to its special structure, yet soft and highly flexible at the same time. REINZOFLON E is used in any situation in which PTFE is the only thing capable of sealing off aggressive media such as acids and lyes. 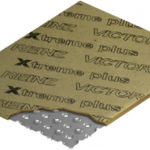 Xtreme Plus is the heat specialist out of all the VICTOR REINZ gasket materials. 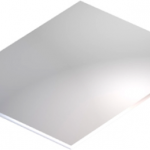 Made of extreme-temperature-resistant mica material on stainless steel, it can withstand temperatures of up to 950 °C. Xtreme Plus shows off its enormous sealing potential in the exhaust gas system of combustion engines and any other areas under extreme heat.